A new generation of rising stars shines in Franco Zeffirelli’s classic production of Puccini’s most popular opera. 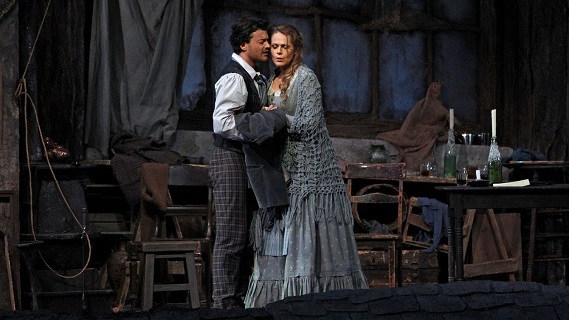 Vittorio Grigolo is the poor poet Rodolfo who falls head over heels for his neighbor, the seamstress Mimì, sung by the radiant Kristine Opolais. Susanna Phillips is the flirtatious Musetta, Massimo Cavaletti is her sweetheart Marcello, and Patrick Carfizzi as Schaunard and Oren Gradus as Colline complete the ensemble. Stefano Ranzani conducts.